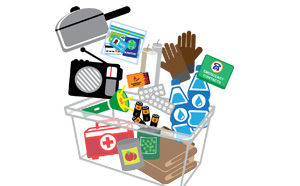 Having an emergency kit is an important step to prepare and protect your household for an emergency such as a bushfire. Keep your Emergency Survival Kit in a storage container in a location that is easy to get to and where the whole family knows about. Don't forget to prepare for your pets as well. Having items put aside can increase self-reliance and decrease the stress and panic that can be overwhelming when faced with an emergency. If you do already have an emergency kit, make sure you check it over and ensure everything is up to date and working properly.